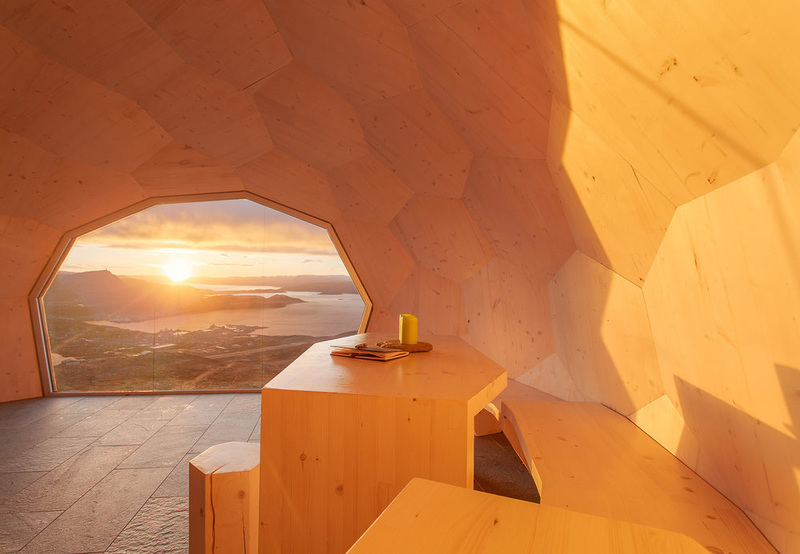 Hikers through Norway’s rocky landscape can stop off at these egg-shaped huts, which offer a snow-free spot to enjoy the sunset. 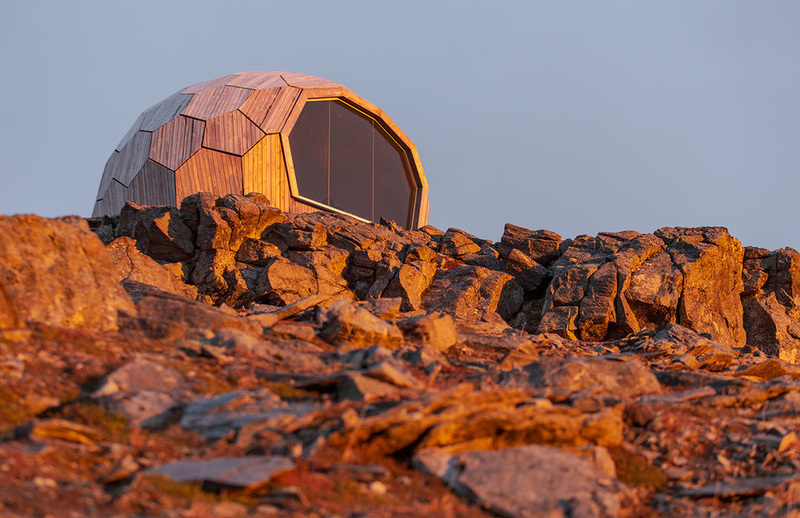 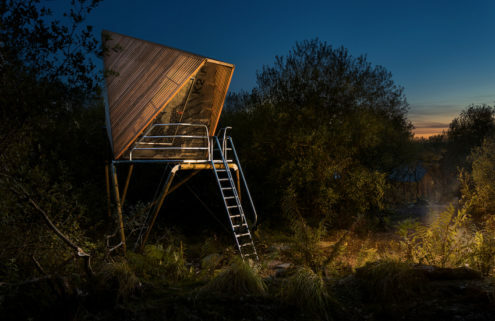 Oslo studio Spinn Arkitekter designed the cabins, which have a faceted shell that can stand up to Norway’s coldest weather. 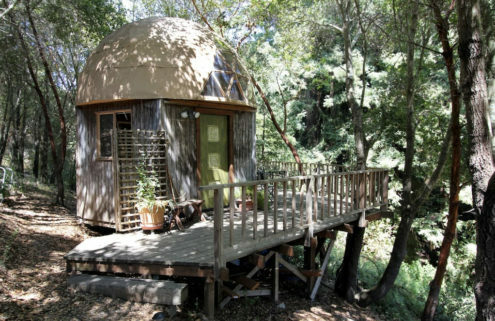 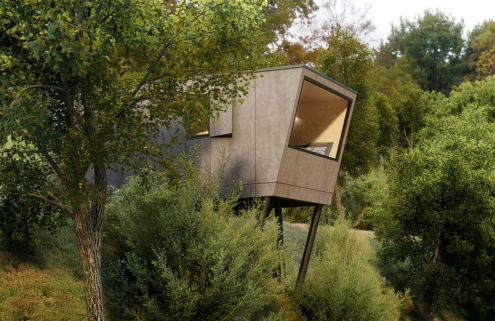 The huts are reminiscent of large pebbles and are based on 3D laser scans of the surrounding rocky terrain. 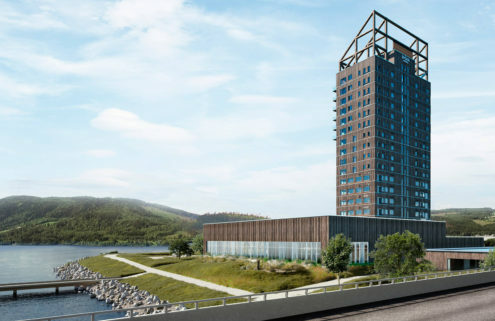 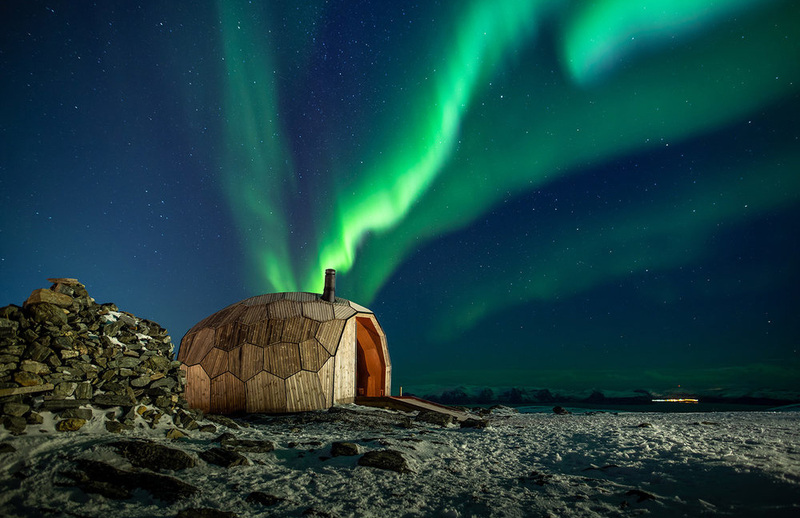 Both huts have a single large window, situated to make the most of uninterrupted views of the nearby Hammerfest – the northernmost city in the world – as well as the sea. 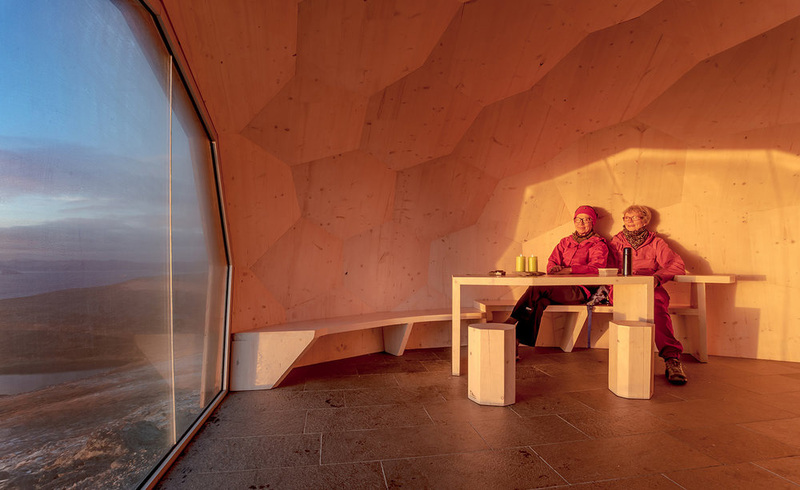 Pale wooden walls reflect the golden glow of the sunset, and hikers can warm themselves by a wood burning stove before heading back out again.